I know that even though we all have a large stash of kits in our digital arsenals - I also know that we all like to use our kits several times for creating to maximize our crafting dollars. There are several ways that we can do this - which is one of the biggest benefits for digi scrapping. In fact, this was one of the primary reasons that I switched to digital scrapbooking back in 2014. I was a dedicated paper scrapper before then, but the ability to stretch my stash (in a non-space taking type way) was one of the most instant benefits of digital scrapping. So let's look at a few ways that we can stretch our stash and our digi kit dollars. 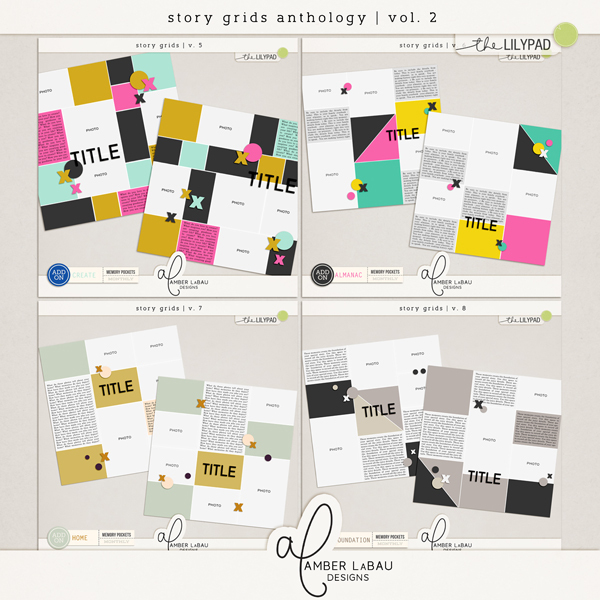 Use Neutral colored kits to be able to document lots of everyday memories or even bigger stories. Use key elements of your photos or background to pick a primary color - then shop your stash to find a similar predominant color in the kit. 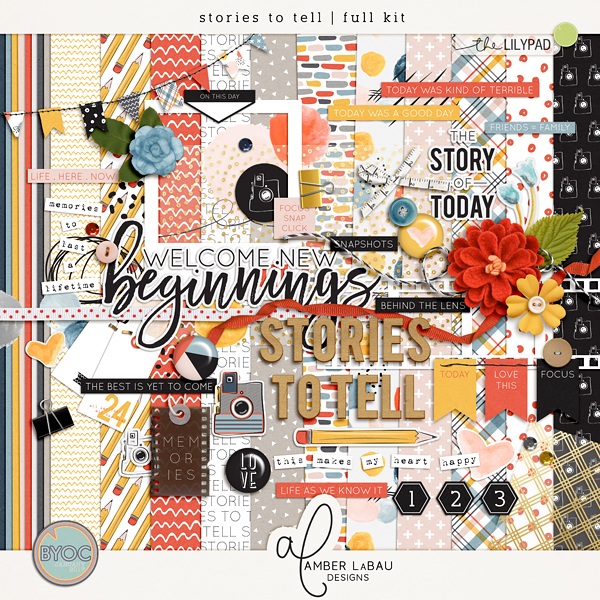 Stories to Tell kit - neutral colors and elements. Word art can be used for many different kinds of stories. 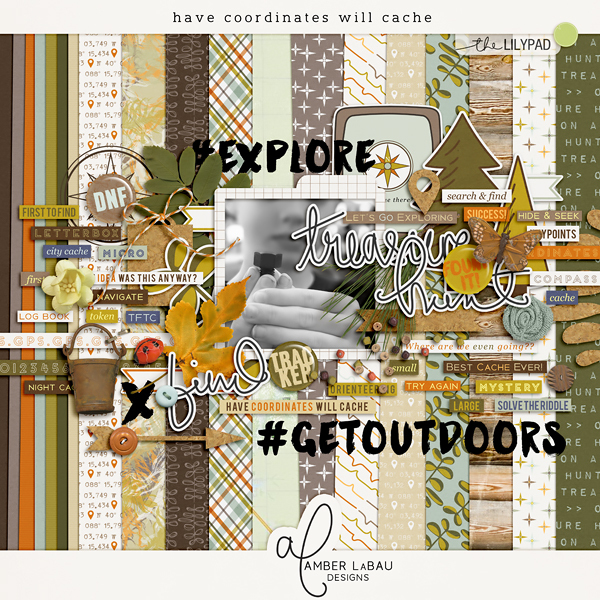 Have Coordinates Will Cache - although this is an outdoor kit - there are lots of great neutral papers and elements to use with any kind of photo. 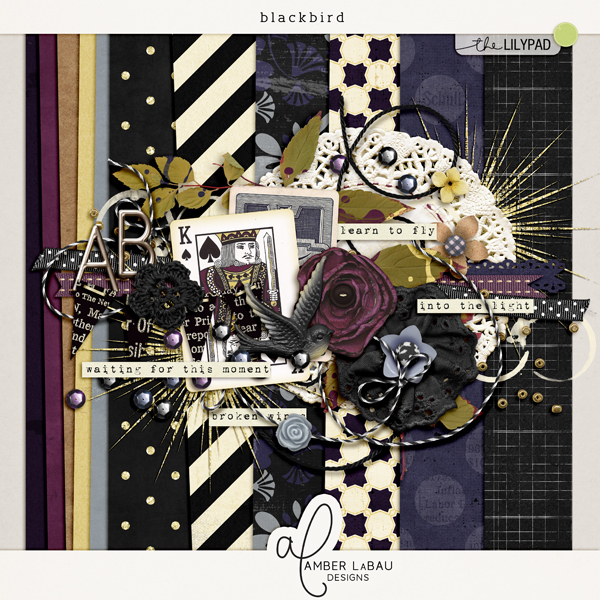 The Blackbird kit has lots of great neutrals and bold neutral patterns that can be used for many different kinds of stories. Use flexible templates that can be combined and modified. 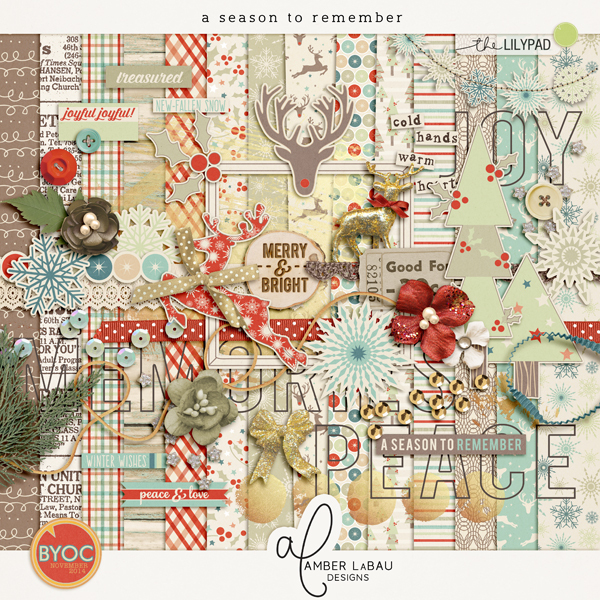 These templates can be used for patterned papers, photos or even artsy treatments. Use "themed" kits off theme. Not every kit needs to be used for the theme that it was initially designed for. For example, I used this Christmas/Winter kit, A Season to Remember to document some travel photos from our trip to Spain. Use a Season to Remember to document some vacation photos. I hope this gives you some ideas on how to use your kits again and extend your stash even further. Have fun documenting your memories!